4350 N Sunset Cliff Drive is the tenth home listed for sale in Sabino Mountain and only one has sold this year. This one-story home is just under 2,100 square feet. As mentioned previously, in order to ensure a sale, a Seller must list at an aggressive price and the house needs to look as model-perfect as possible. This market is very tough. And pick an experienced real estate agent who knows Sabino Mountain! Click on Current Homes for Sale to see active listings at Sabino Mountain. 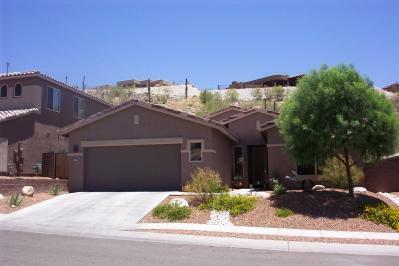 In 2011 there has only been one sale in Sabino Mountain, located at 4054 N Boulder Canyon Place. It is a 3 bedroom, 2 bath, 2,585 square foot semi-custom, Outpost-built home that sold for 535K in March. This home was listed by Coldwell Banker. The homes for sale in our community number nine and are price-ranged between $304,900 – almost 1.1 million. In order to sell in this tough market homes need to be aggressively priced and sparkle. If you need a market analysis, give me a call at 520-615-2598 or email me at Donna@DonnaAnderson.com. You are currently browsing the Sabino Mountain Blog blog archives for May, 2011.